StoneBridge Christian Church has spent more than a century Sharing Christ and Building Believers. 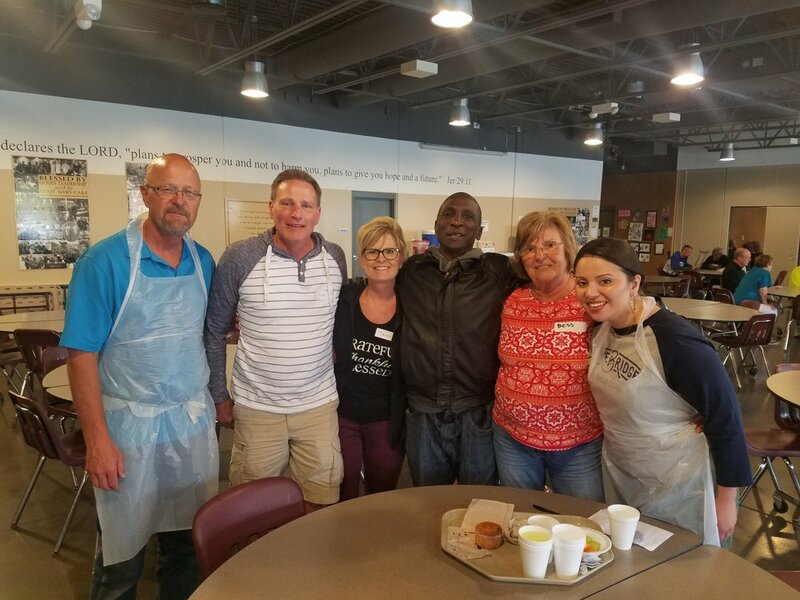 We have grown into a community of over 2,000 people attending services every week across our Omaha, Millard, and Fremont campuses. But we are not finished in our CITY, in the STATE, or in the WORLD! StoneBridge Omaha’s facilities have surpassed capacity. Despite added worship services, renovations, and adjustments to accommodate more families, it’s time to expand our Omaha campus once again. A 22,900-square-foot worship center with a 1500-seat auditorium. Additional backstage space for Spanish Translation. Nursing rooms for mothers with infants. Expanded outdoor patio and courtyard space. Right now, eight out of ten people in the Omaha metro area don’t attend church regularly. Our multisite campuses at Millard and Fremont serve as outlying locations and have helped spread our mission beyond the Omaha campus. They provide live worship, video teaching, and secure kids’ ministry areas for families in these communities. And each campus was 90% financially self-sufficient within two years or less. With the tremendous success of our multisite campuses, we are expanding our vision for launching more campuses both in Omaha and other towns in Nebraska. Within the next two years, we are ready to expand to both a strategic site in Omaha and a missional site elsewhere in the state. We are excited to announce our next campus: StoneBridge Benson! 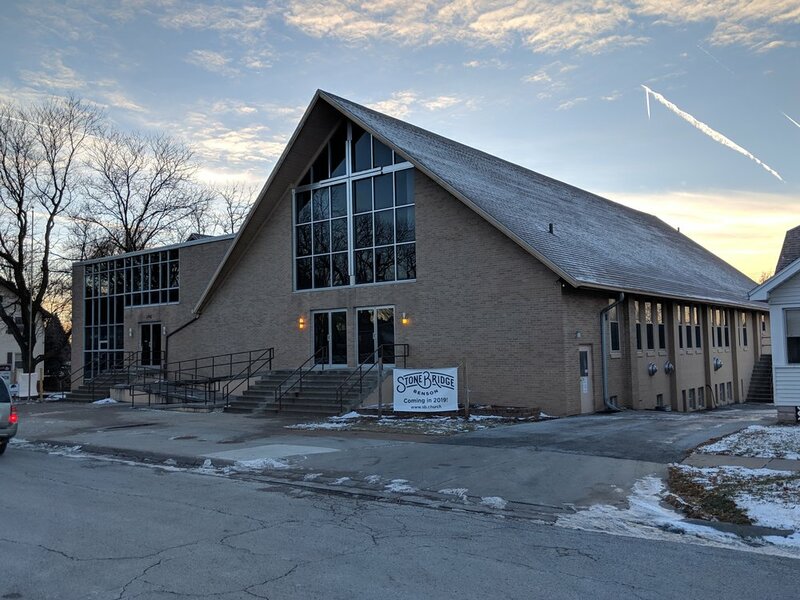 We are currently under contract to purchase a pre-existing church building on the Northwest corner of 61st and Miami streets in the heart of Benson. We will begin renovations on this building in the near future and plan for a 2019 launch date. The Benson campus is approximately 21,000 square feet with seating for 225+ attendees per service. The campus includes an abundance of KidMin space. Our renovation plans include making the campus “feel” like StoneBridge with paint, flooring, and furniture. We will also open up the lobby to create a more spacious feel and include our signature coffee bar! We firmly believe that launching additional multisite locations will give us a broader reach into the state of Nebraska to raise more leaders, baptize more believers, mobilize more volunteers, reach the lost, and fulfill our God-given mission. We’re trusting God to lead us to consider launch sites throughout our state. The world is still full of unreached areas--areas densely populated by people who desperately need Christ. In addition to our work in our city and state, we’re passionate about fulfilling the unfinished Gospel around the world. In 2016, we formed a ministry partnership with the Mid India Christian Mission, an organization that boldly proclaims Christ in a Hindu nation. Now, we have the unique opportunity to help plant ten churches in northern and central India--and to reach thousands of individuals in one of the world’s most spiritually dark places. India, the birthplace of Hinduism, Buddhism, and Sikhism, is the second-most populated country in the world (behind China). But only 2.2% of its people identify as Christians. Among the minuscule Christian community in India, baptisms are held in secret to avoid dangerous--and often deadly--legal retaliation. Mid India is effective in its outreach, reporting an average of 100 baptisms per church plant every three years. Introducing Christ to the people of India gives them the opportunity to free themselves from the destructive slavery mentality of the caste system that dominates their part of the world. And Mid India provides them with a holistic approach to the Christian religion through contextualized evangelism, education, and empowerment. We are setting out on a journey to expand our Omaha campus, establish new churches in and around the city, and plant ten churches in India. But we can't do that without you. We need leaders like you to continue helping us Share Christ and Build Believers in Nebraska and beyond. Finishing God's work in us requires stepping outside our comfort zones and making sacrifices to complete the tasks He has set before us. While the campaign doesn't officially launch until November 2018, we know that some of us may want to start giving now. We have already received multiple gifts towards the campaign! You can give online to the fund "Unfinished" or write Unfinished on the memo of a check and place it in the offering during one of our services. Our plan is to use the lawn to the north of the current building to build a new structure. The new building will be attached to the current building and be accessible through the Commons. We are planning to add parking stalls to our existing East parking lot. We will also build a pedestrian bridge connecting the current East parking lot with a new parking lot close to 156th street. This will fully develop our property. The seating capacity in our new auditorium will be double the seating capacity of our current Omaha Campus (auditorium and Commons). The Commons will be converted to serve as a lobby and gathering space and services will be combined into the new auditorium. We also hope to add a full service (coffee shop style) espresso bar in the Commons! Our current Omaha Campus Auditorium will be used for additional KidMin space on Sundays. It will serve as a worship venue as well as large/small group space for Elementary kids. This will allow more space on the lower level for preschool aged kids. We don’t know the future for the Fireworks Bonanza. We are remaining committed to providing quality outreach events that you would want to invite your friends and family to. StoneBridge loves kids and that passion will continue. Our preschool will continue to meet throughout the construction phase and into the future. With the expansion, we are anticipating that our service times will change. We will likely not need to offer as many services when the new building opens as we do now. Students, in grades 6-12 are encouraged to attend Sunday services with their parents and that won’t change. We will continue to offer programming specifically geared for Students at alternative times. Our current timeline has groundbreaking occuring in July of 2019. Construction is currently scheduled to occur from July 2019 - Fall 2020. We are anticipating to open the expansion in November 2020. Adding a campus is the most economical way to continue to grow in the near future as we continue our new building on the Omaha Campus. It is on the Northwest Corner of 61st and Miami Streets. This is the same location where we hosted our 2018 Easter in Benson service. The area we selected was based on two primary factors. How far can we expect our neighbors to drive to visit our current campus? And, where do we have a significant number of members and attendees living beyond that distance? Additionally, we have had a long term dream of having a Campus in Benson! Our plan is to launch the Benson Campus in 2019. Depending on several factors including permits, construction schedules, etc. Yes, this is just one of many as we continue to multiply our growth and maximize our impact in all of the state of Nebraska. If you live in the Benson area, you’re welcome to attend there or to stay at your current campus. However please carefully consider what God is leading you to do. Having a StoneBridge location closer to your home will enable you to invite friends and co-workers in your community. Plus, the driving time you’ll save may make it easier for you to serve in a role at the Benson Campus. It will affect us in many ways. Space for growth will open up as individuals and families commit to attending the Benson campus. Many volunteer and leadership positions will open up, bringing new opportunities for growth. We have already begun the search for our next Campus Pastor. We also anticipate hiring a Worship Pastor and a KidMin Pastor. We are beginning to assemble a launch team. The launch team will serve as leaders in the Benson Campus. Preparations and plans for the campus launch are underway. To join the launch team and be included in Benson launch communications please email Laura Hamilton at lhamilton@sb.church or text 402.281.0709. Mid India Christian Mission, a StoneBridge Mission Partner will oversee this project. StoneBridge has committed to providing the funds required to establish each of these churches and cover staffing and ministry costs for one year. India, the birthplace of Hinduism, Buddhism, and Sikhism, is the second-most populated country in the world (behind China). But only 2.2% of its people identify as Christians, with the Hindu religion and its caste system mentality dominating 90% of the Asian subcontinent. Among the minuscule Christian community in India, baptisms are held in secret to avoid dangerous--and often deadly--legal retaliation. 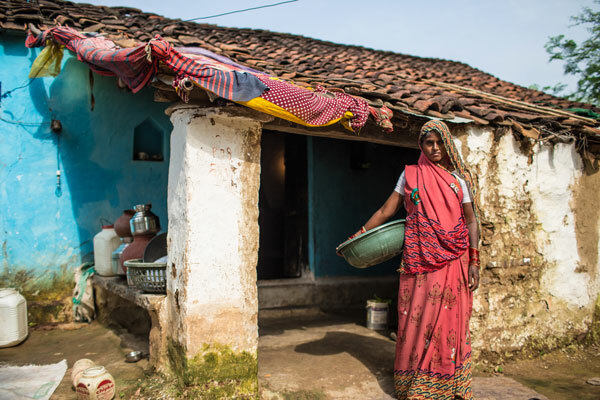 According to data from Mid India Christian Mission, there are 2,033 unreached people groups in India and 1.2 billion individuals who haven’t heard the Gospel. This organization is effective in its outreach, reporting an average of 100 baptisms per church plant every three years. We believe this is our opportunity to answer the call of The Great Commission (Matthew 28:16-20). Our financial commitment to Mid India is to support the planting of ten churches in ten remote locations--churches that, following the established trend, should yield an average of 1,000 new baptisms within three years of launch. The new auditorium project will cost 6 million dollars. Additionally, the new Campus in Benson will cost 1 million dollars. For a total of 7 million dollars. We are entering into a 2-year capital campaign (November 2018 - November 2020) to fund a portion of this project. Our goal is raise 3 million dollars through this capital campaign to offset the costs of this project. We have consolidated our existing debt with The Solomon Foundation, who will finance our current project as well. Yes. Being a part of a growing church is expensive. We have had capital campaigns in 2005, 2010, and 2015 all were very successful. You can make one-time donations or set up a recurring giving schedule. You can also give by check in service or by mail, be sure to designate “UNFINISHED” on the memo line. Yes, the capital campaign is above and beyond our general giving. Our goal is for everyone in our church to participate in this campaign. Whether a large or small gift, we want our entire church to be behind this mission.